Perfect for when you're sectioning the top layer of hair to create a style, blowdry or just to straighten. The professional sectioning clips from the HeadJog range are triple tension sprung and have strong grip-lock teeth so once you clip them in, they will ensure that your hair stays up. 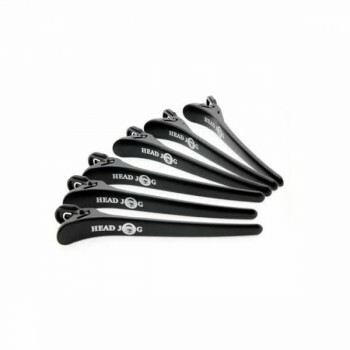 As with all the HeadJog professional range, this six pack of sectioning clips are ergonomically designed for comfort and get the job done properly.